Charm provides science-based sanitation and hygiene solutions that let you instantly assess the hygienic status of your facilities’ surfaces (for both food and non-food contact). We also provide solutions for you to test the water quality and other environmental areas, including hard to reach places, across your entire processing facility. Charm’s ATP (adenosine triphosphate) -based sanitation and hygiene program provides solutions to use across your facilities that will provide results in just seconds. 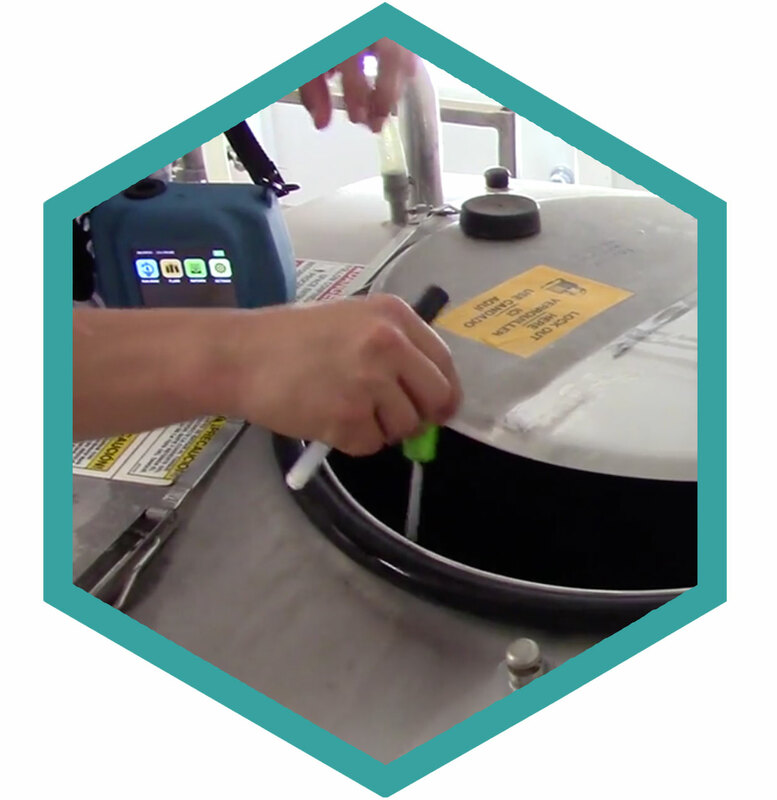 Hygiene verification tests like the Charm PocketSwab Plus, WaterGiene/Allergiene swab, FieldSwab, Peel Plate and E*Colite test are an integral part of your program to ensure your equipment, process waters, and facilities are kept clean and at a level that is safe for food production. The PocketSwab Plus rapid ATP (adenosine triphosphate) swab is room-temperature stable, self-contained, single service test that enables total surface hygiene verification in only 5 seconds, allowing real-time corrective action. The PocketSwab Plus ATP swab is relied on for cleaning verification and validation of sanitation and hygiene practices to help prevent cross-contamination and microbial challenges due to ineffective sanitation procedures. Data is collected track/trended for HACCP documentation and food safety/quality audit purposes. Charm WaterGiene is used to test the sanitation of water, including CIP water, rinse waters, and cooling water. WaterGiene measures water cleanliness in 20 seconds by measuring total ATP. High ATP levels indicate that microorganisms, food, and other biologicals are present in the water. The Charm FieldSwab ATP swabs enable food safety programs to be implemented outdoors. Like the PocketSwab Plus ATP swab, the FieldSwab rapidly detects ATP (adenosine triphosphate) as a measure of surface cleanliness. This is done by measuring the light units produced when ATP reacts with luciferin/ luciferase. The FieldSwab has a light-blocking cover to prevent interferences from daylight and uses a specially calibrated channel on the novaLUM luminometer. The number of companies impacted by FSMA requirements to substantially improve procedures and processes involving sanitation and temperature controls during transportation.